Happy Christmas to everyone who reads my blog. It has been a productive year which is ending very happily. On January 1st of this year I was made redundant from the Metropolitan police after almost 24 years as a crime scene photographer, with all its highs and lows. Whilst this was sad in some respects, it was also a fantastic new start, as they had been generous enough to give me a small pension to keep the wolf from the door. It freed me just enough to find lots of small part time jobs I like, and most importantly, to concentrate on my writing. I wrote the first chapter of my new book on Jan 1st to start my new life with purpose, and as a result, I have just finished editing the second draft of my new book ‘Killing Time’ to be ready in late January 2017. For those that cannot wait or want a rare copy, I have published it as a Beta version with a false title and author name. Long story, but it makes it easier and clearer to publish it as a new book when it is ready. 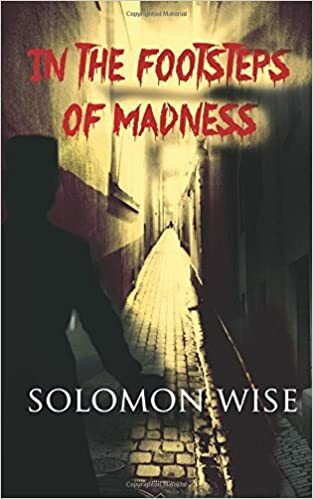 You can find it on Amazon worldwide as ‘In the Footsteps of Madness’ by Solomon Wise. I quite like that author’s name… maybe I should have used it from the start. In 2065 a new science called Awakening has turned the world upside down. It gives the gift and the curse of being able to delve back into your past lives. But one past life is so strong that it overcomes its existing identity. The life of someone who should never have been allowed to exist in the first place. The Leather Apron, The Whitechapel Murderer, The original serial killer, he is known by all these names. And now he wants to kill again. Jack the Ripper is back. And… in a mad rush to finish the year with a bang, I have just finished an Amazon advertising campaign… I’ll let you know how that went in the new year. Until then, enjoy the holiday period with friends and family. Relax and rest so that you will be ready to start a book yourself in January.